Christmastime in Natchitoches is a magical occurrence. It is a time of year where memories are made, as well as long-standing traditions among family and friends. The Natchitoches Christmas Festival of Lights is special to all, especially for Jordan and Stacey Sheppard. 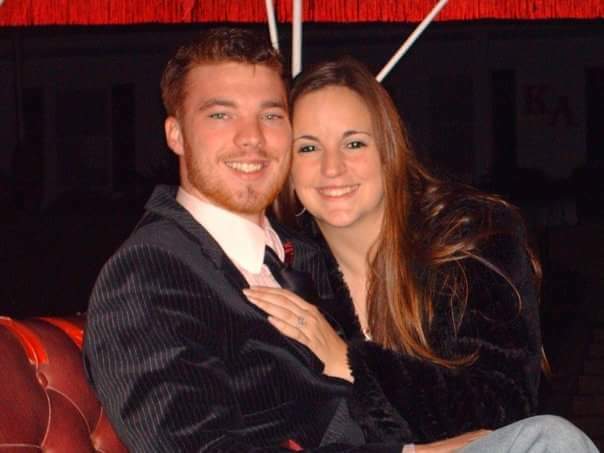 On Nov. 23, 2008, after dating for five months and three days after her birthday, Jordan surprised Stacey by bringing her to the festival for their first time. When the carriage stopped for them to get out and look at the water fountain across from the Steel Magnolia house, Jordan proposed to Stacey. Jordan and Stacey Sheppard with their children, Lexi, Sawyer and Ryder. Fast-forward almost nine years and they are married with three kids, Lexi, 6, Sawyer, 4, and Ryder, 1. They reside in Calhoun and play music together as an acoustic duet, Roses and Revolvers. The couple actually met at a singing competition,in 2008. “We still come to see the lights and fireworks every year as a family,” said Stacey.